Cemeteries are great places for the dead, but these days they’re even more entertaining for those of us still living. If you’re planning your next big summer day out, don’t dismiss your local graveyard as just a sad place for those unfortunate enough to die. While they’re a good spot for reminding yourself of your own mortality, cemeteries are now putting on more community events, outreach programmes and interesting talks. Here’s our best cemeteries to visit this summer. Are cemeteries turning into public spaces? From yoga to film screenings, cemeteries all over the UK are extending their market base. No longer solely for dead people, there’s now enough put on for those who are still breathing. This isn’t a new phenomenon – Ken Worpole, author of Last Landscapes, writes of the way cemeteries were long regarded as public spaces and parks. In the Victorian era a cemetery was a convenient place for a picnic, a leisurely stroll or a meeting with a possible lover. Now, cemeteries are putting on events and talks to make sure graveyards are again used as public spaces. Here’s some of our favourite cemeteries that have got a well-stocked events calendar. A neo-classical chapel, winding pathways, Gothic sculptures and a whole load of yoga to keep your core toned while contemplating whether or not there’s an afterlife, Bristol’s Arnos Vale puts on an array of events all year round. One of the few places we know of where you can get both buried and married, this summer Arnos Vale is putting on a range of talks (next up: ‘A Crash Course in Cannibalism’), as well as hosting theatre performances, Death Cafes and tours. 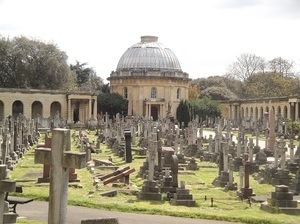 Arnos Vale is a great example of how a cemetery can be a community hub – all 45 acres of it. Open late throughout June and July, Highgate Cemetery is home to some of the most impressive architecture on the graveyard and funerary scene. Over the summer months there will be twilight tours through the West and East Cemeteries – it’s so vast the graveyard has its own coordinates – as well as concerts featuring a World War 1 memorial evening. From choir concerts to guided bat walks, talks on the accidental deaths of the graveyard’s Victorian residents to a stroll through its more secluded areas, York Cemetery has a lot going on this summer. On top of this, York cemetery has a lot to offer in terms of sheer grandeur and eccentric history. The cemetery is a Grade II listed landscape and is one of only two privately-owned Victorian cemeteries in the UK. Make sure you visit the neo-classical chapel, which is based on the temple of Erectheus in Athens. Back in London but this time out west, Brompton Cemetery has a continuous stream of interesting events. 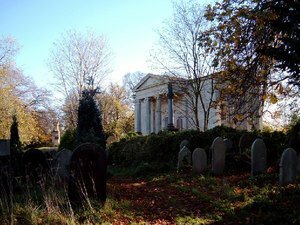 Even at a cemetery you can’t escape the need for wellbeing – Brompton Cemetery’s “creativity and wellbeing day” includes art workshops and a mass-jamming session. Other summer staples include evening tours and an opera concert. Remember, it takes approximately 45 minutes to get from Highgate Cemetery to Brompton Cemetery on the tube – make a night of it. Over in Bradford, the Undercliffe Cemetery has its own open mic poetry night, headed up by Undercliffe Alive! Poets Society, the cemetery’s own resident poetry group. If you’re not into spoken word, maybe the cemetery’s surroundings will get you in the mood. Carrying on this respect for the spoken and written word, Undercliffe Cemetery has a mix of talks and guided tours this summer. Some of these are led by artists and writers, including the upcoming Necropolis City of the Dead tour, as part of the Bradford Literature Festival. Here we look at some of the best cemeteries in and around our favourite city Bristol. As well some of Bristol’s more morbid spots. 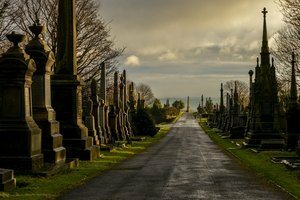 If you’ve got some inspiration from all that cemetery visiting, why not visit our Funeral Planning page to make sure you get your preferences down.